A typical visit to Machu Picchu costs about $174. That’s a ton of money in Peru. It’s especially painful knowing that a lot of that money is going into deep pockets, and not into preserving the ruins. We managed to get there for $132. That might not seem like a big saving, but the real value is in the time. Our 4 day journey took us to 3 different ruins and includes 3 nights in guesthouses. The train budget includes 4 hours at Machu Picchu. That’s all. This isn’t only the cheapest way to get to Machu Picchu, it’s also the most exciting. Of course, the train ride is an experience that you’ll sadly have to miss, but the adventure you get in its place is surely worth the trade. 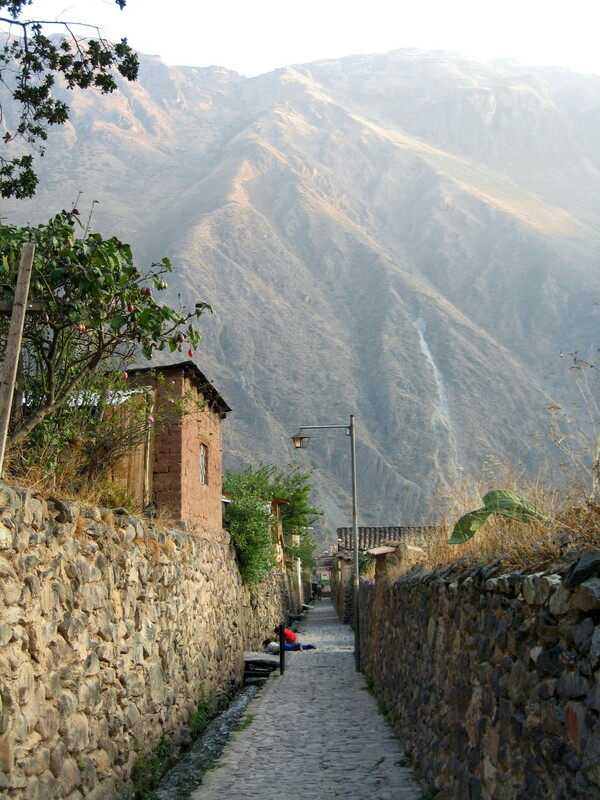 A small street in Pisac with the ruins in the background. Getting to Pisac, we headed to Empresa de Transportes Interprovincial Pitusiray (at Av Tullumayo & Calle Inticahuarina) and caught a small bus that left when it was full. The cost was only 2.40PEN/$0.83 CAD. 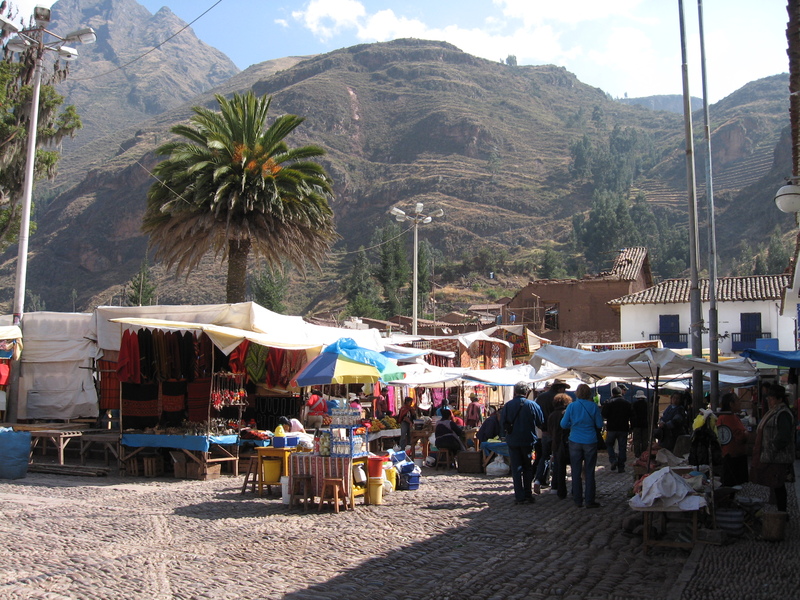 Pisac is a very nice stop in the Sacred Valley… and easily one of my favourite places so far. The market is quite large and is a good (although a little overpriced) spot to pick up some handicrafts. However, we were here for the ruins. They are the least touristy of the many ruins in the area. You can either take a taxi to the top and walk back down into town or walk up to the top from town. We chose the latter as it seemed the most rewarding. Walking north from the market square you will find the entrance to the ruins where two friendly Peruvians will sell you the Boleto Turistico. There are a couple of options depending on which attractions you want to see. 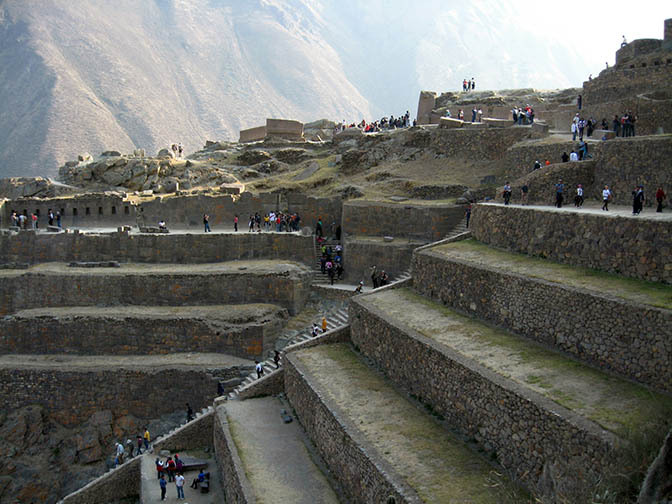 We opted for a two-day ticket that covered the ruins in Pisac, Ollantaytambo, Moray, and Chinchero for S/70 (CAD$24). A full ticket that covers all ruins and most tourist attractions in Cusco will cost you S/130 (CAD$44). There is no way around this Boleto Turistico. You cannot get into the sites without one. 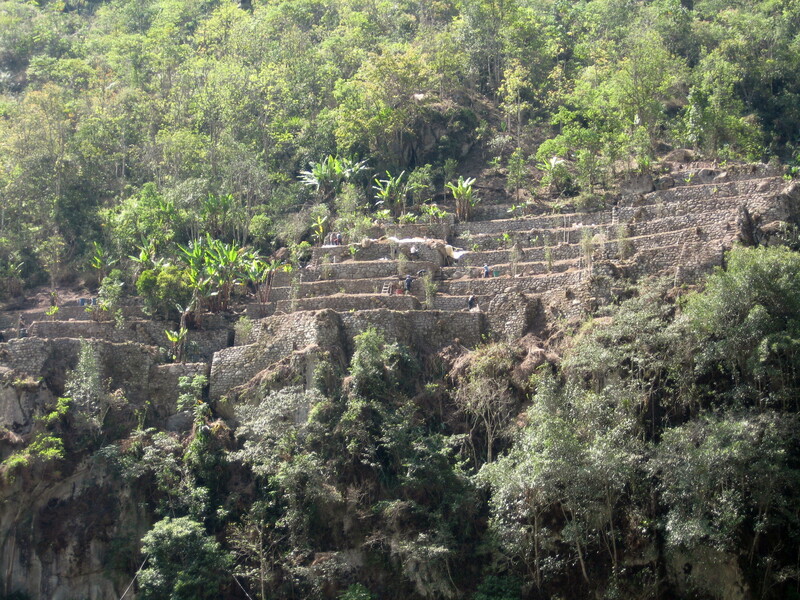 If you choose to walk up to the ruins from the town, there will be some very, very steep steps awaiting you. Expect to take frequent rests and come prepared with coca leaves. The air is a lot thinner here and we found it difficult to take deep breaths. Taking a rest after the brutal hike. Ryan posing on the ruins. A look at the valley around Pisac. We walked up to the first group of ruins and we were blown away by the breathtaking views of the valley and the surrounding mountains. It was totally worth the physical exertion. View of the valley from the ruins in Pisac. After relaxing and taking in the impossibility of what the Incas had done, we headed back down into town to catch the bus (and some delicious freshly made empanadas!). 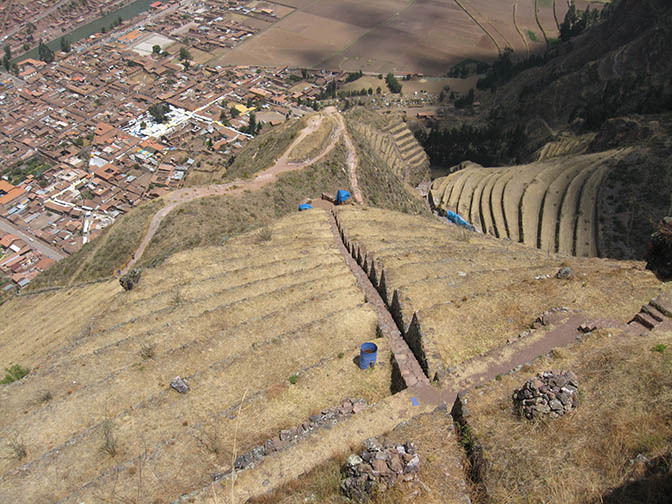 The dizzying look from the ruins to the town of Pisac. The bus station is on the street just before the river. To get to Ollantaytambo we needed to catch a bus to Urubumba (S/2 or CAD$0.70). We had a ride on a very over-crowded and hot bus full of local colour to Urubumba where you can catch a combi on to Ollantaytambo. It seemed like we had made it to Urubumba right around rush hour. All of the combis were packed to capacity clown car stylez. A taxi pulled up and made us an irresistible S/10 (CAD$3.40) to Ollanta offer! View of Ollantaytambo from the ruins. Ollantaytambo (from here on out referred to as Ollanta for carpal tunnel syndrome avoidance) is a lot more touristy than the other cities we visited en route to Machu Picchu, and with good reason. The tiny cobblestone streets and surrounding mountain vistas are picturesque and more than postcard worthy. The ruins at Ollanta, while more popular than those in Pisac, are not as magnificent, but much more accessible and can be walked without much strain in 1-2 hours. We stayed over night at Hostal El Tambo (also known as Hostal Matacuy) on Calle Horno, just off the main square. For S/35 (CAD$12) a night we scored a 4 bed room which we had all to ourselves. There was a nice deck outside our room where we sat, relaxed, and had some drinks. Bathrooms were shared but very clean and the owners were extremely helpful with directing us via the alternate route to Machu Picchu. Our next stop on the route to Machu Picchu is Santa Maria. The buses leave from the northwest corner of the Plaza de Armas in Ollanta. Buses generally leave anywhere between 9-10 am. We took an Turismo Ampay bus for S/20 (CAD$7). A word of warning: this bus comes from Cusco, so by the time it had got to Ollanta it was packed. We paid our money and climbed on the bus only to find there were no seats! Nevermind though, only 5 hours to Santa Maria! It was a brutal 5 hours of repeated turns that burned both our legs and our arms. A 30 minute stop due to road closure saved us, but we only had enough cash on us to get a bag of Lays and a couple Fantas. Upon arrival at Santa Maria there was a combi ready and primed to take us to Santa Teresa (S/10, CAD$3.40). It all happened so quickly that I barely remember what happened at all. As many people as possible bundled into the combi to Santa Teresa. 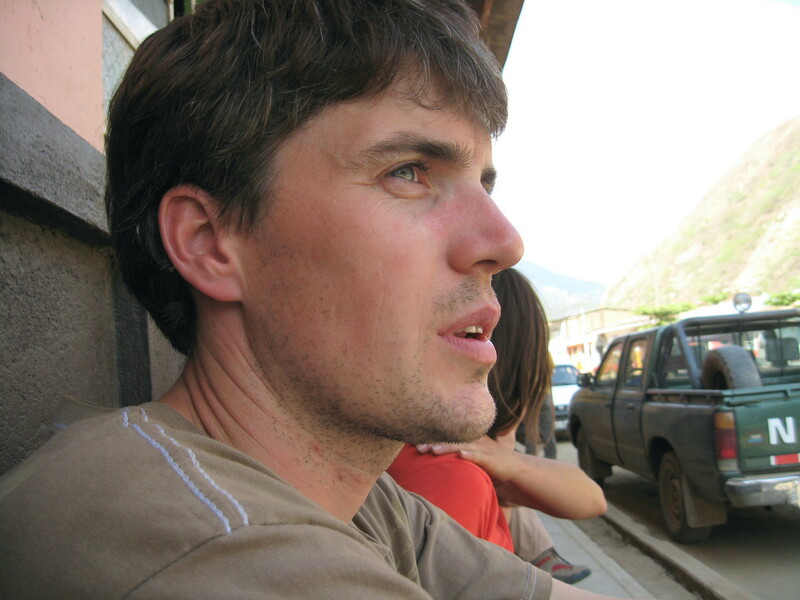 At Santa Teresa we were all immediately bundled into another combi on to the hydro-electric plant for S/4 (CAD$1.4). 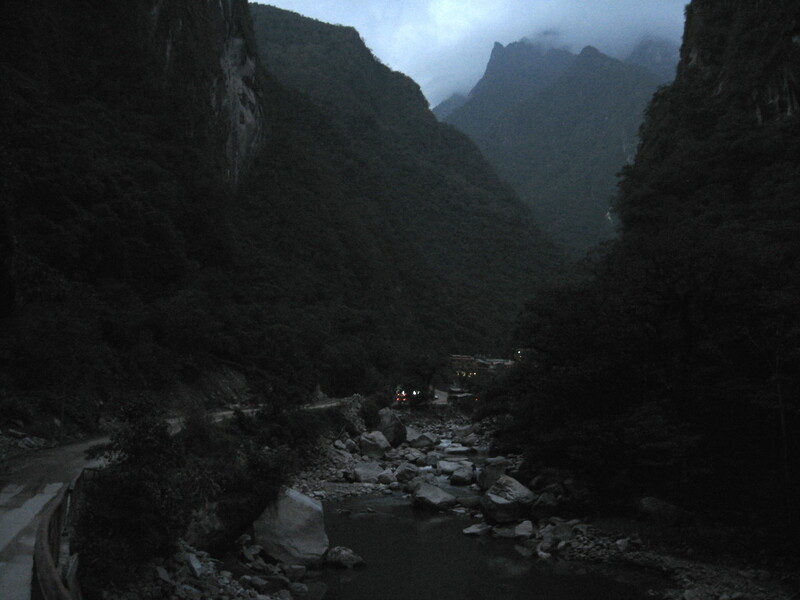 From the hydro-electric station it is a 2 hour hike that is well-trodden and easy to follow on to Aguas Calientes. There is an option to take a train from the hydro-electric station to Aguas Calientes for S/15 (CAD$5), but the walk is beautiful and well worth the hike. Looking from the bridge at the beginning of the trail you can see the back of Machu Picchu. The walk requires bug spray, sunscreen, and long pants. The hike weaves around the base of Machu Picchu. We made it to Aguas Calientes just as it got dark. We made it to Aguas Calientes by 6pm. We walked into the first hostel we had on our list. 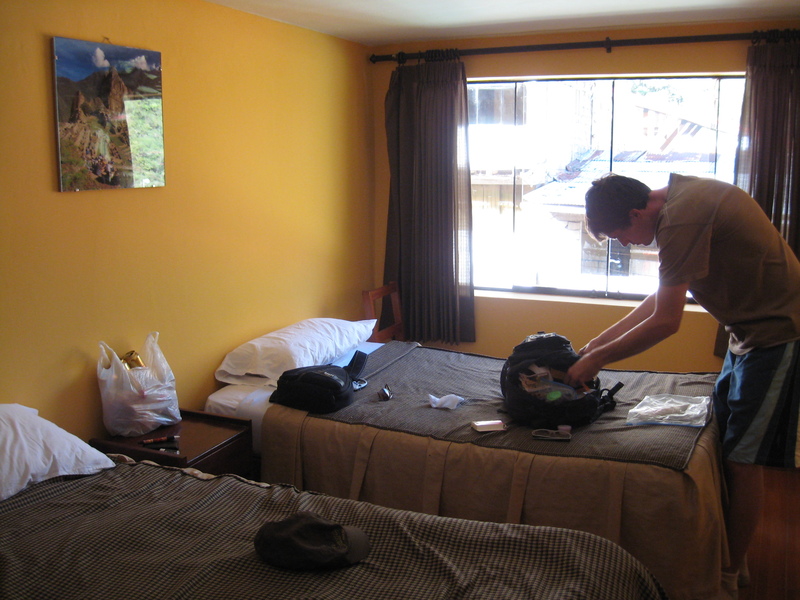 Hostal Los Caminantes (S/50, CAD$17 for a private double room with private bathroom per night) is on Avenida Imperio de Los Incas, which is the main street in town. The hostel has a great central location, however it was a little noisy as the cargo train loads and unloads right outside. The hostel was clean, the shower was hot, and the view was great. What more could you ask for? Despite the overpriced tourist restaurants on Los Incas we managed to find a tasty pizza place that had a family sized pizza for S/25 (CAD$8.50). Exactly what our family sized appetites needed. Who knew you could accomplish so much fueled purely on Lays potato chips and a bottle of Fanta! A family sized pizza and an early night was exactly what we needed to prepare for our early morning adventure up to Machu Picchu. The bus up to this wonder of the world costs S/40 (CAD$13.50) return and S/20 (CAD$6.75) one way. A lot of people like to take the bus up and then walk back down, but with all the walking we had done over the last few days we decided a return ticket was the best idea. Make sure you buy your entrance tickets to Machu Picchu in Aguas Calientes before you go up as they cannot be bought when you get up there. Tickets into Machu Picchu cost S/126 (CAD$43). You can see the winding road up to Machu Picchu in the background. The walk down isn’t that interesting, involves a lot of steps, and will definitely put your knees to the test. The ride up to Machu Picchu takes about 15 minutes along a winding road of switchbacks which weaves its way up a verdant hill. As we reached the entrance we could see hoards of tourists crowding the ticket takers and guides. We pushed our way past the tour guides and went inside. We walked up a few steps and were greeted with the famous Machu Picchu postcard picture. The incredibility of what we were seeing hit us immediately. The Incas were amazing people. We both found it hard to comprehend that they actually created a city on top of a mountain and farmed on it. Like a lot of things in Peru, it’s hard to believe what you are seeing. 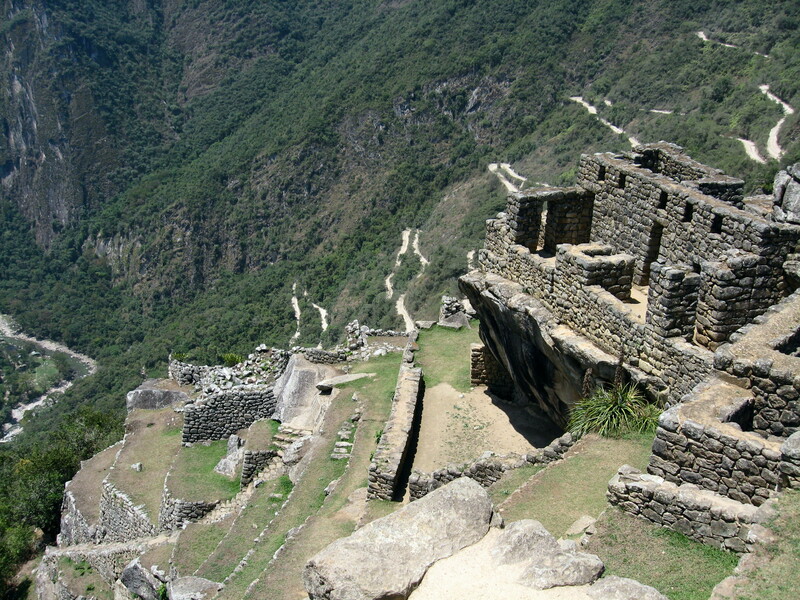 They have preserved Machu Picchu as close as possible to how it was when the Incas lived there. You can see the quarry where they got their building materials from. As a treat they run llamas down the path in to the Inca village in an attempt to knock unsuspecting tourists off the side of the mountain. An excellent tourist photo and petting opportunity. We took our time walking around MP, finding quiet spots to sit and take in the view and splendor of the ruins. We spent the night in Aguas Calientes before heading back to Cusco the next morning. We left Aguas Calientes at 8am the next morning and did the 2 hour hike back to the Hydro-electric station (which turns out is a lot easier when you haven’t been standing on a bus for 5 hours beforehand). At hidroelectrica we took a combi to Santa Maria for S/5 (CAD$1.70), then a taxi to Santa Teresa for S/10 (CAD$3.40). From Santa Teresa you can take a direct minibus back to Cusco. The minibuses run every hour. We arrived in Santa Teresa around 12pm, and knowing that we had a dusty four and a half hour drive back to Cusco ahead of us we grabbed lunch at the restaurant by the bus stop (which was delicious and cheap!). At 12:30 a minibus rolled in but we passed it up to enjoy lunch, a cold beer, and some people watching. We’ll take the next one, we thought. After lunch we strolled outside and sat in the shade and waited for the minibus. 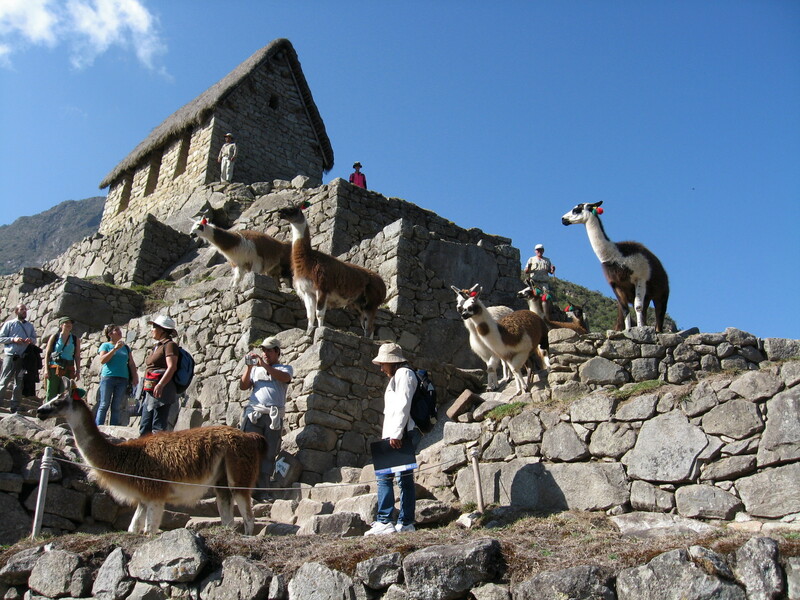 We saw some of the same tourists we had travelled with into Machu Picchu. 1:30pm came and went and no sign of a minibus. Another half an hour passed and people were starting to get restless. Word got around from some of the locals that the road to Cusco was closed for construction until 3pm. 3pm quickly turned into 5pm. 5pm became 6pm. So there we sat until 4pm. At a rest stop. A minibus came to pick up anxious passengers at 4 o’clock. The minibus took us to the road closure where we waited for another 2 hours in the sweltering fly swarming heat. There was a small place to grab a beer, but the sand flies were too relentless to sit outside and enjoy a beverage. It seemed like the only refuge was the collectivo, despite the heat. Needless to say, it felt like the longest bus ride of our lives. We finally rolled in to Cusco at 10pm. That being said, what an experience! Getting to Machu Picchu in the way we did made it that more special. Time for a budget update! This is a big one. We spent 5 nights in Cusco and the Sacred Valley. We visited Cusco, Pisac, Urubumba, Ollantaytambo, Santa Maria, Santa Teresa, Aguas Calientes, and of course Machu Picchu. We stayed overnight in Cusco (2 nights), Ollantaytambo (1 night), and Aguas Calientes (2 nights). This total includes everything: accommodations, food, transportation (from Cusco and back), entrance fees, and all incidentals. We had budgeted S/503 (CAD$170), but we actually ended up spending S/530 (CAD$179). Overall, this leaves us S/139 (CAD$47) over budget!